Planning a quick 1-day staycation? Want to explore an island? 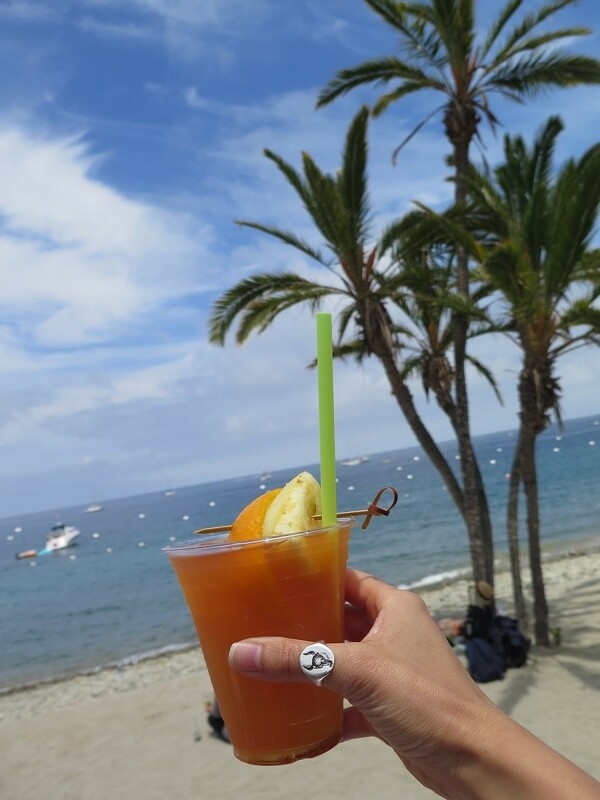 Enjoy drinks by the beach? Well then, come check out Catalina Island! 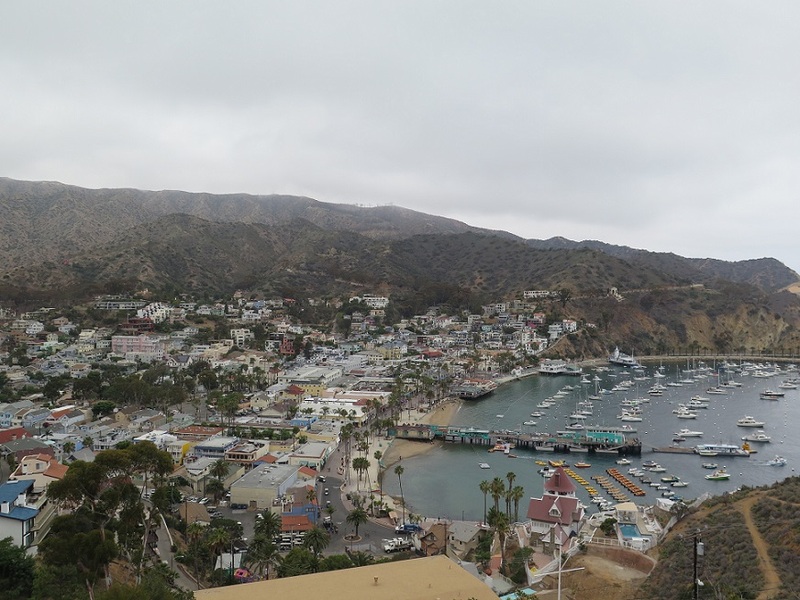 Last month I wanted to do something different - be somewhere new - for my 15 years anniversary and we came up with the idea of visiting Catalina Island. Surprisingly, I've lived in Orange County all my life and this was both our first time to there. So we woke up extra early to catch the Catalina Flyer in Newport to take the ferry to the island. A little over an hour later, we arrived at our mysterious new destination and was ready to explore! 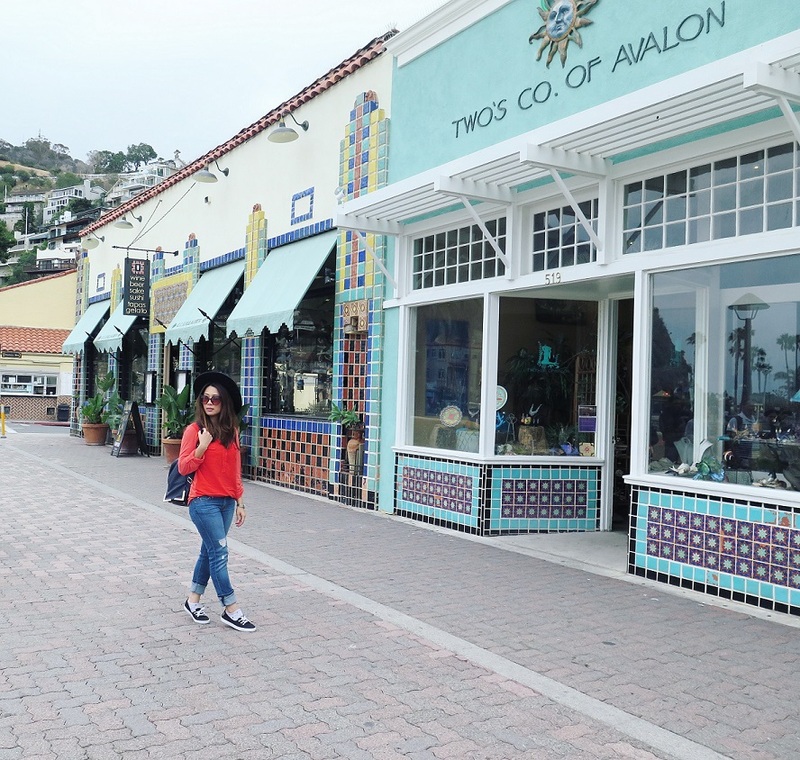 What's great about Catalina Island (also known as Avalon city) is that there are so many activities to do! From an Zip Line Eco Tour to the Avalon Scenic Drive to a Glass Bottom Boat ride, they offer a variety of land and sea adventures to help plan your trip. There's even the new Catalina Falconry experience where you get to see the creatures up close and personal soaring through the skies. 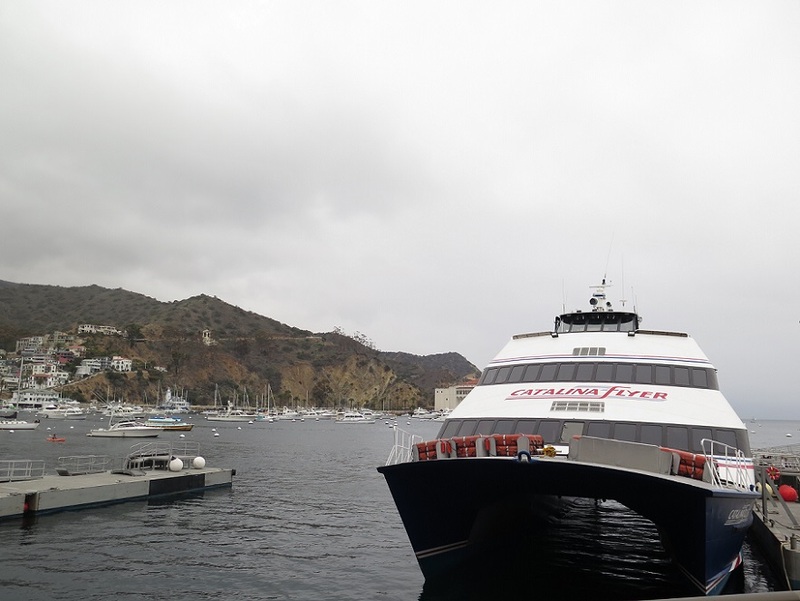 For more details on Santa Catalina Island Company's Unlimited Fun Day Pass package, click HERE for a list of the excursions. 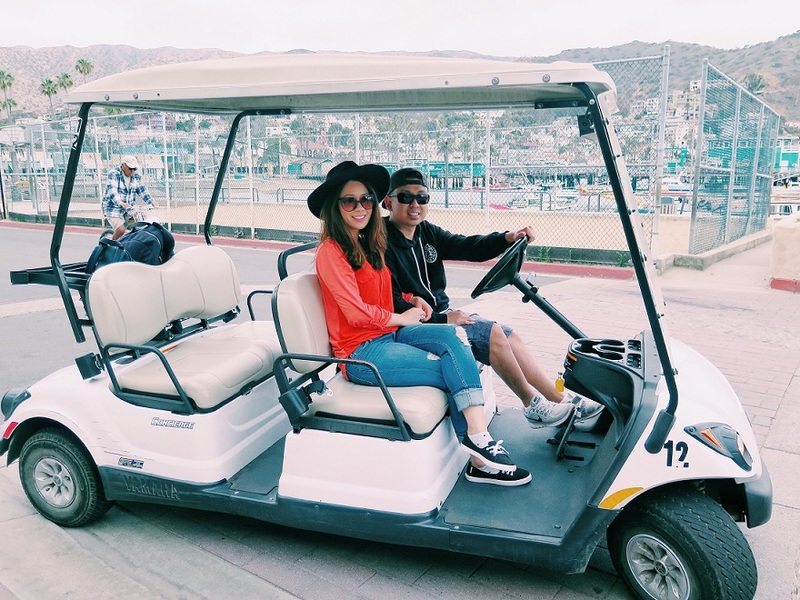 Since we wanted to explore the island on our own, we ended up renting a golf cart (thanks Tanya for the suggestion!) to navigate our own scenic view and make pit stops along the way. I've never rented a golf cart before and it was quite fun driving around the island together! Of course, just a pre-warning, you may be tempted to make a few quick stops for photos overlooking the beautiful city cause you know we sure did. We also checked out the popular Wrigley Memorial & Botanical Gardens and enjoyed a nice, relaxing complimentary lunch at Descanso Beach Club. 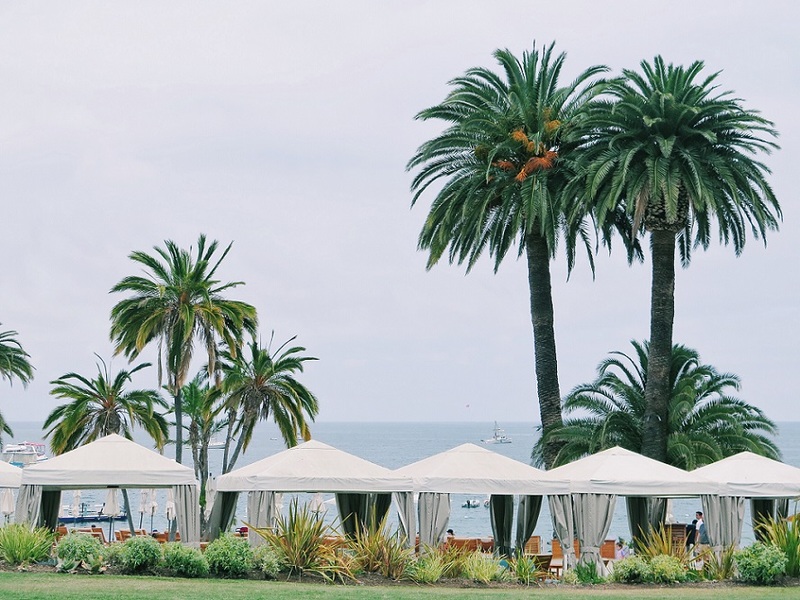 Let me just say, the view at Descanso Beach Club is just incredible! With reggae music playing and a lively beach scene, it's the perfect spot to unwind for an afternoon lunch and drinks. It truly felt like we were on vacation on a secluded island and I absolutely loved it. If you saw my Snapchat (@kimberly_luu) then you totally know how it felt like a little bit of paradise. We ordered the bison burger, sweet potato fries, and loaded nachos and everything was delicious! And yes, our cocktails were tasty too (can I say #moreplease?). We had also planned to go on the Undersea Expedition but, unfortunately, we ran out of time to go so hopefully we can see it next time. After lunch, we headed back to the Catalina Flyer to return back home to OC. It was a super quick trip and a great chance to catch a glimpse of what Catalina Island has to offer. Can't wait to go back again in the future! 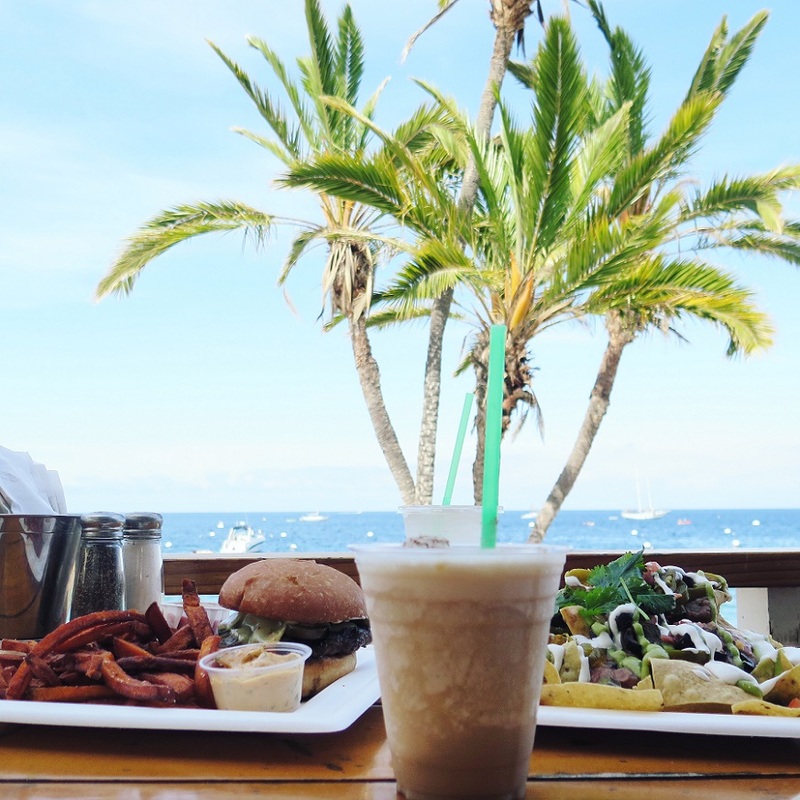 ***Thanks to Murphy O'Brien PR, Santa Catalina Island Company, and the Descanso Beach Club team for a wonderful dining experience! 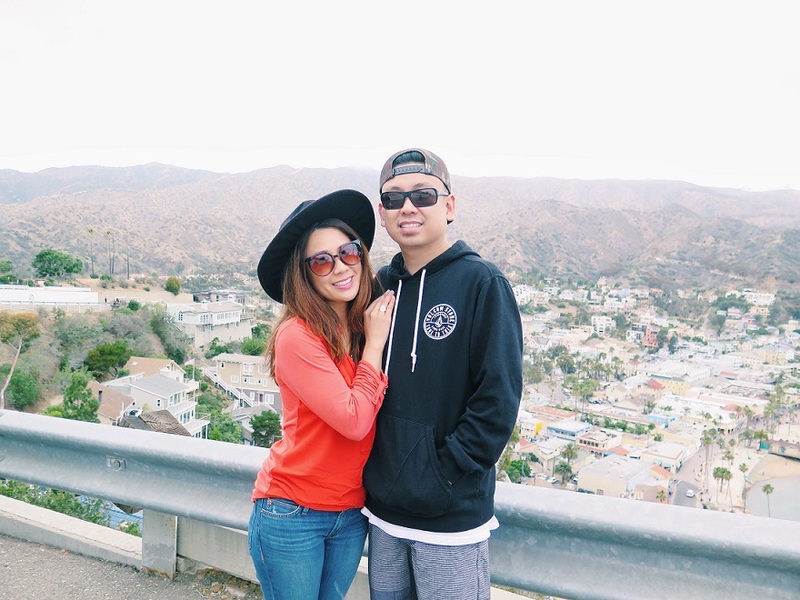 What activity are you interested in trying at Catalina Island? They also have a Flying Fish Boat Tour which sounds super fun and unique that's offered seasonally. Catalina Flyer at the Balboa Pavillion, 400 Main Street, Newport Beach, CA 92661. Tel: (800) 830-7744. 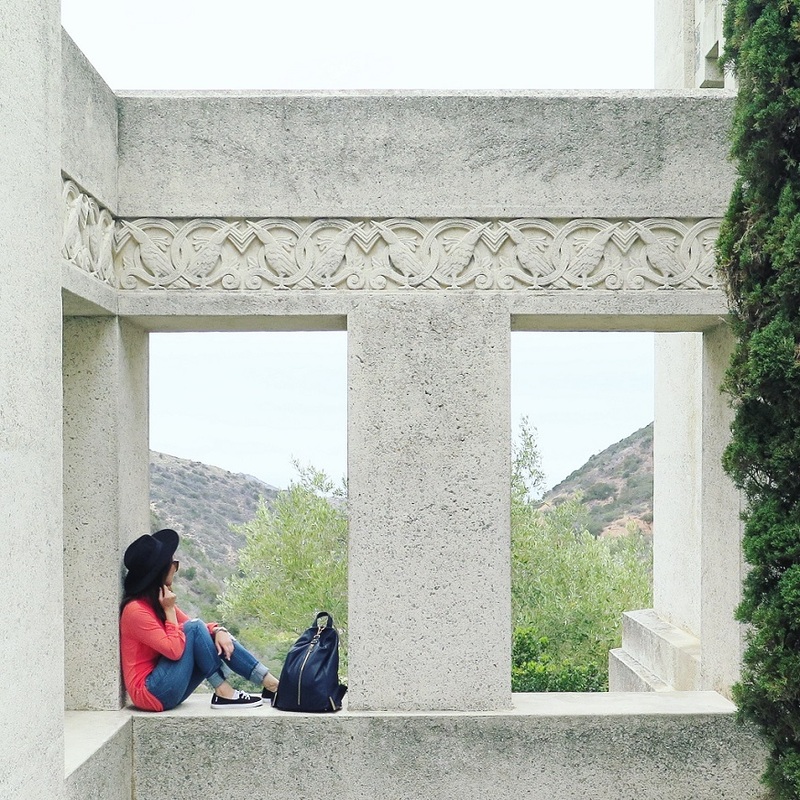 Wrigley Memorial & Botanical Gardens, 1402 Avalon Canyon Road, Avalon, CA 90704. Tel: (310) 510-2897. Descanso Beach Club, 1 Descanso Avenue, Avalon, CA 92704. Tel: (310) 510-7410.